Baking. Photographing. Creating. Trying to get by. We Christmased our house on Monday and I wanted to share a few of my favorite Christmas decorations for the year so far! 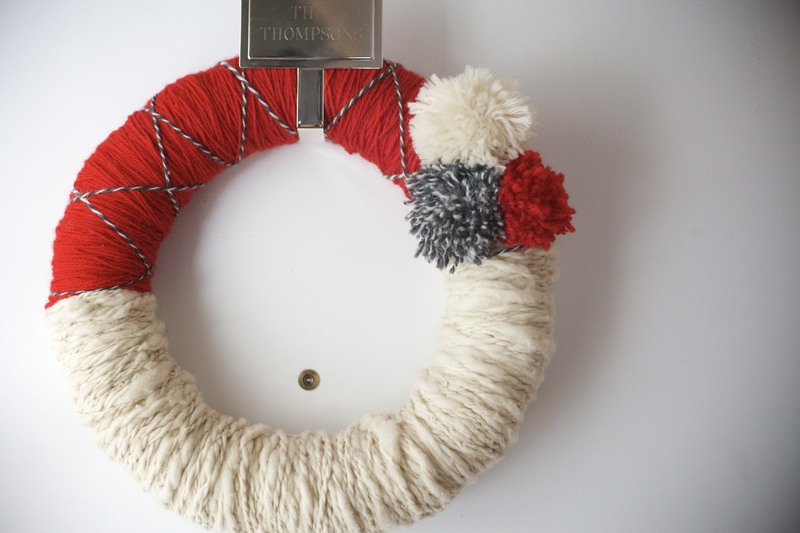 If you all do Pinterest, you’ll know these yarn wreaths are so so popular this year! I love this one I made. The white is homespun yarn that I made myself. I think the texture is magnificent. I also really like it because the red makes it look like Santa’s hat. 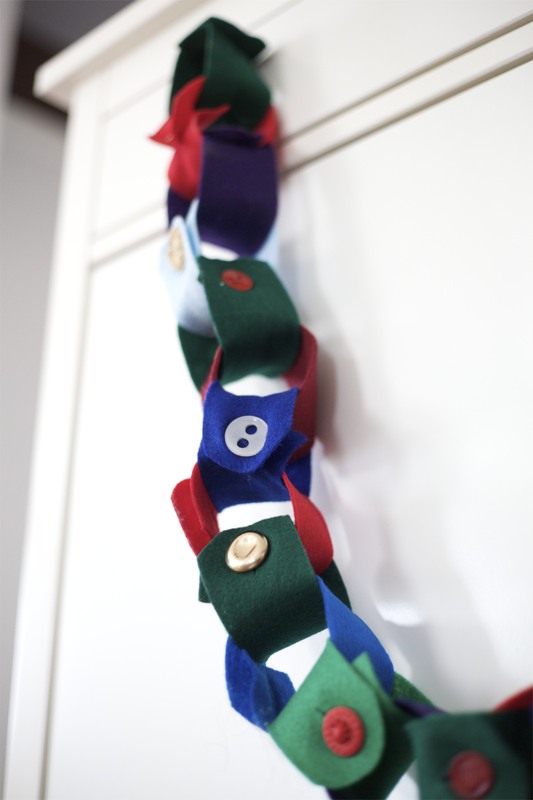 I can’t remember how many count-down to Christmas chains I made growing up. 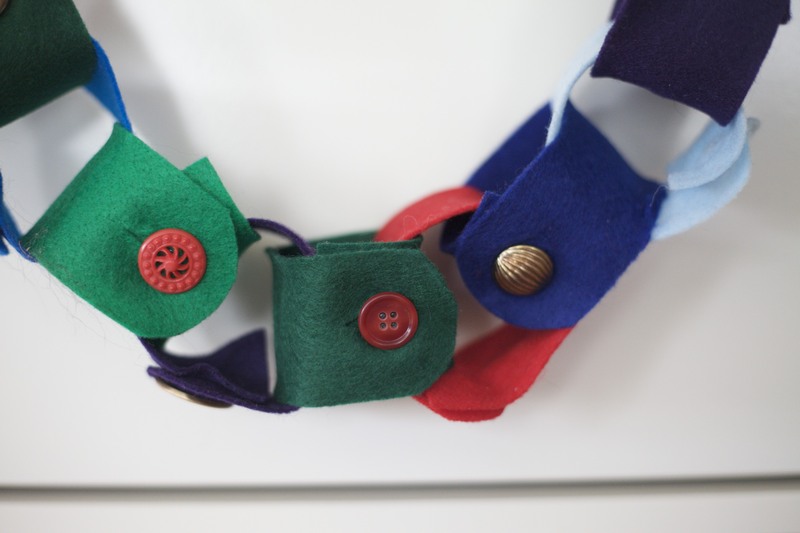 My friend Carissa and I made these chains out of felt and buttons! I recently inherited a whole mess of buttons, so it was fun getting to use some of them for this project! These last photos don’t have anything I made, but I love the way this little part of the house turned out this year. Perhaps it is blasphemous to put stockings next to the Nativity, but we have limited stocking hanging places and we have two sets of stockings! I do love the window, too. We got a bunch of them out of the barn in Maine, and they’re great decorations! Hope you’re all having fun decorating your homes for Christmas! I LOVE the wreath and how you used the homespun. It looks magnificent. I just want to run my fingers all over it….is that weird? And the stockings are fabulous. Papa, Mama, Sister, Brother. I love it!